Why health supplements are a necessity after 40? After the age of 40, the body’s natural ability to absorb nutrition from everyday food reduces immensely resulting in lower energy levels. Fortunately, there is a way to build your stamina back up.Paying attention to your diet is all what you need to live an active life. 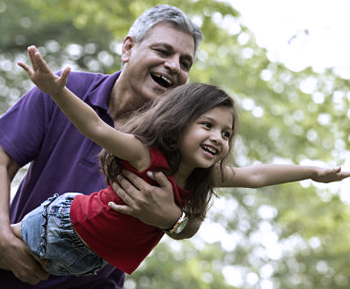 As you age, the muscle mass in our body begins to deteriorate at a much higher rate. If we are not careful, the loss of muscle mass can go up to 8% per decade and increase by 25% as you hit the age of 70. Ensure Protein shakes contain high quality protein and essential vitamins and mineralswhich makes it an ideal health supplement for men and women above the age of 40. Minerals such as calcium and phosphorousare stored in the bones and contribute tobone strength. However, calcium is not produced in our body but is absorbed from the food we eat. If our body doesn’t receive the necessary calcium from food, it is taken from our bones to make up for this shortfall, which results in weakening of the bones. Over a period of time, this can lead to osteoporosis. 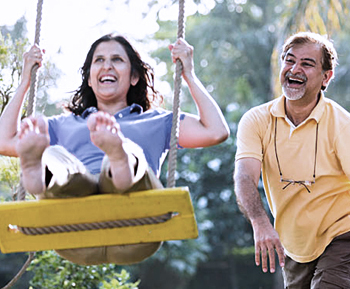 As you grow older, you need a bone health supplement to ensure your body gets enough calcium and other vital nutrients. Ensure contains all of these nutrients,making it an ideal addition to your diet. Our body needs energy-enhancing nutrients such as carbohydrates, proteins and healthy fats. Vitamins such as D and B12 are required for maintaining energy levels. Factors such as age, gender, metabolism and genetics, etc. play a role in differentiating the energy requirements of one person from another.Ensureproducts contain carbohydrates and fats that provide energy. As you age, having a balanced immune system is important.While a weak immunity could make us vulnerable to infections, on the other hand, an overactive immune system can result in age related diseases such as Alzheimer’s, diabetes and osteoarthritis. Ensure contains immunonutrients such as Vitamin A, C, E, Folic acid, Zinc and Magnesium. These micronutrients develop our immune system and reduce the risk of illness. Abbott Nutrition products are renowned for their range of health & nutritional drinks for adults, protein shakes and muscle mass supplements for all age groups right from toddlers, children, lactating mothers and seniors. 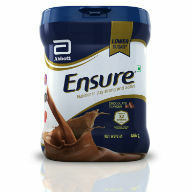 With Ensure powder, you can be assured of a superior bone health supplement for both men and women, with the requisite dose of proteins and without adding unnecessary calories. No Limits To Enjoying Life! While our energy requirements differ based on our gender, build, genetics, metabolism, etc., age does not have to drain our energy levels.